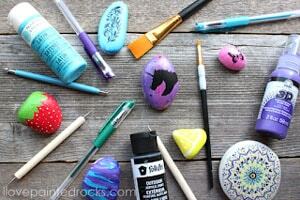 Hi Rock Painting Friends, it's Natalie from Doodlecraft with another fun rock painting craft project! 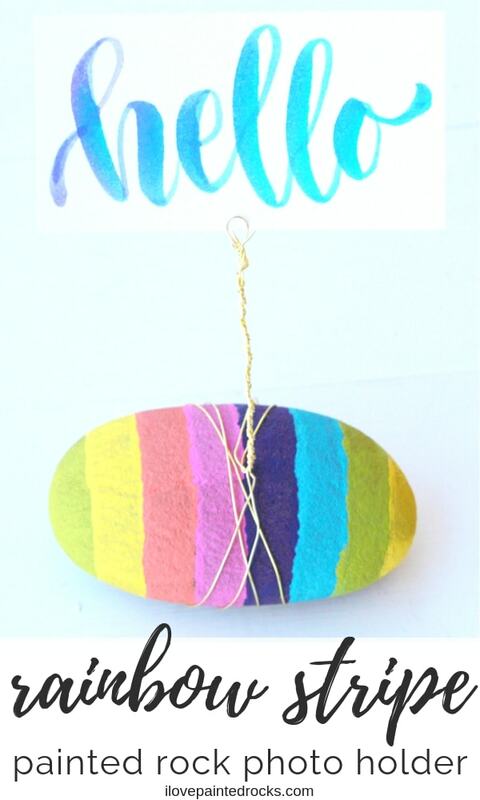 Make this adorable rainbow striped painted rock and wire wrapping to hold photographs or name cards. It's a perfect project for Easter or just because! Rainbow stripes painted in non-traditional colors with some simple gold wire make this a very economical craft. It's reminiscent of a rainbow with a pot of gold at the end! These would look cute set around a table for place card settings for Easter brunch too! The pastel rainbow stripes look a little bit like Easter eggs. If you are inspired by this rock painting idea and decide to make your own, won't you share? I'd love to have you share your painted rock creations on the I Love Painted Rocks Facebook Page. If you are willing to let us feature your rock on this website, you can submit your unique painted rock creations here. Rock Photo Frame Step 1: Paint the Rock! Paint the rock in rainbow-colored stripes. I like to start the rainbow in the middle, at green, and then progress through the colors and back around. Rock Photo Frame Step 2: Cut the Wire! Cut 2 feet of gold wire and fold the wire in half. Rock Photo Frame Step 3: Twist! Wrap the wire around the rock two times. Bring both ends of the wires back to the top center. Twist the wires together tightly. Continue twisting the two sets of wires together up to your desired height. Rock Photo Frame Step 4: Loops! Save enough wire to form a loop at the top of the wires and twist them back down on themselves. Rock Photo Frame Step 5: Add a Photo or Name Tag! 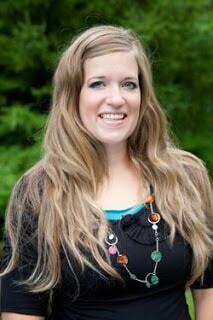 Add a photograph, note or name card by slipping it in between the 2 wires that form the loop. That's it! This painted rock photo holder is a lovely gift idea for Mother's Day. It would also be a great way to hold name tags of sentiments for a tablescape for Easter or at a wedding. Have your kids paint the rocks however they would like and then get a little adult help to turn them into these cool photo frames. Wrap the wire around the rock two times. Bring both ends of the wires back to the top center. Twist the wires together tightly. Continue twisting the two sets of wires together up to your desired height. Add a photograph, note or name card by slipping it in between the 2 wires that form the loop.